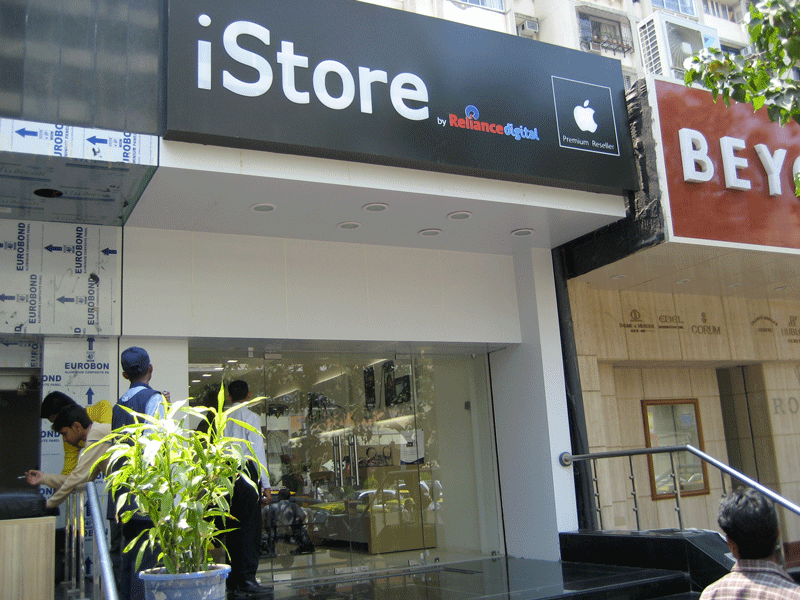 The newest Apple reseller in Bombay is iStore, it’s a division of Reliance Digital under Mukesh AmbaniÃ¢â‚¬â„¢s Reliance Retail. It’s the 3rd location to open up after Bangalore and Hyderabad. The Bombay store is located in South Bombay across the street from the Mahalaxmi Temple on the ground floor of Tirupati Apartments. I had a chance to checkout the store today and it’s like any Apple store you would see in the US but it’s a bit small. But, it had all the products from Apple even the new MacBook Air – which by the way is amazingly light. I think it’s great that Apple has partnered with Reliance but I feel bad for all the smaller retailers that don’t have the financial backing of the Ambani’s. Reminds me of the battle in the US when Apple started to open their own stores and cannibalized the sales of the small resellers. Hopefully, Apple can increase market share and have more revenue for all resellers.